Can I Play Sue Ryder Lottery Online? Read Reviews! As decent human beings, we all love giving back to our communities. Helping someone in need gives that warm feeling in one’s belly. Imagine the following scenario – how good would it be to bring a favorite activity like the lottery and charity together? Well, someone has already thought of the opportunity, and it’s been brought to reality in the form of Sue Ryder Lottery. The Sue Ryder weekly lottery helps support care centers across the US. When buying a ticket, you have the power to decide which facilities you’re going to support with your money. On top of that, the lottery gives you a chance to win some noteworthy cash prices. Have we gotten you interested in Sue Ryder lottery already? Put your seatbelt on; we’re about to take you for an exciting ride into the world of charity lotto games. 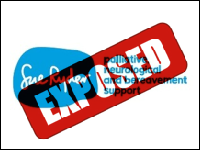 Sue Ryder Lottery Limited was incorporated in 2015. The lottery aimed to promote the activities of Sue Ryder and to raise donations. Sue Ryder is a well-established UK charity that was set up back in 1953. The first facility that the organization incorporated was a nursing home in Suffolk. Today, the organization supports and provides for the treatment of people with life-threatening conditions across the UK. To make its mission even more popular, Sue Ryder hands out 34 cash awards every week. There are various options for ticket buying, increasing flexibility for those who want to participate and giving them a chance to start or discontinue their participation in the initiative as they please. The lottery has been very well accepted since its initiation four years ago. Today, the Sue Ryder lottery still runs strong, and a Super Draw has also been added to provide additional initiatives for participation. Is it a Scam and Can You Participate in Sue Ryder Lottery Online? Sue Ryder lottery is not a scam. On the contrary – it’s a well-established game with clear and transparent rules. The entity responsible for the organization of the game – Sue Ryder Lottery Limited is an entity set up according to UK rules. All necessary filings have been completed, and the organization submits annual reports, remaining accountable in front of the general public. Sue Ryder Lottery also operates in compliance with UK Gambling Commission requirements. This is a regulatory authority that has a strict set of criteria for the running of the lottery and luck games. While the official Sue Ryder lottery is entirely legit, however, a few scam attempts are using its name. Keeping track of such is essential. Sue Ryder does door to door canvassing to popularize the lottery. The official representatives, however, have to legitimize themselves. Canvassers have to wear branded clothes and an ID badge. Unfortunately, scammers have taken up the opportunity to annoy people and even request cash donations. If such people ever knock on your door, you should know they have nothing to do with the lottery. A final question to answer is whether you can play Sue Ryder lottery online. The answer is yes, and you’ll find out more about the opportunity in the coming sections of the guide. The Sue Ryder lottery is weekly, and drawings take place each Friday. There are 34 prizes awarded each time. To participate, you need to spend one pound on a ticket. You do not choose Sue Ryder lottery numbers but instead, they are assigned randomly when you decide to play. This is your unique lottery number, and it will remain valid for as long as you choose to play. If you wish to, you can have more than one lottery number – each additional entry will cost you one more pound, and it will increase your odds of hitting the Sue Ryder lottery winning numbers. An external lottery bureau chooses all of the Sue Ryder lottery winning numbers. To play, you have to be aged 16 or older as per UK regulations. Tickets can be acquired by phone on 0370 058 5906. Once you complete the process, you will get your unique lottery number sent to you by mail. In this sense, the Sue Ryder weekly lottery is more reminiscent of a raffle or a sweepstake game. All profits generated through the sale of tickets will go to supporting the Sue Ryder charitable activities and the development of centers for the care of patients. Once you decide to stop playing the lottery, you can contact Sue Ryder via the game’s official website. You will be excluded from the entries for the next drawing. As already mentioned, there are 34 prizes distributed among the participants for each weekly drawing. The guaranteed weekly prize payouts include one 1,000-pound prize, one 100-pound prize, 10 prizes of 10 pounds and 100 prizes of five pounds. Once a year, Sue Ryder lottery organizes a super draw. More information about the date of the super draw will be announced on the official lottery website. The existing lottery numbers will be included in the super draw automatically, and you can also acquire additional tickets that are valid solely for the special occasion. Super draws are worth giving a try because the maximum payout is 10,000 pounds. This is the reason why the number of participants increases exponentially on this occasion. A Sue Ryder lottery checker is available via the game’s official website. Use it to find out if your unique number has been picked among the winning ones. There is no need to keep track of the Sue Ryder lottery winning numbers. After the weekly drawing takes place, players are notified by post if they are winners. The names of the winners will also be published on the Sue Ryder lottery website. If you’re a winner, you don’t have to come forward and claim the prize. A winning cheque is issued automatically, and it will be sent to the mailing address you entered during the registration process (either by phone or online). Cheques are to be received within 15 days of the weekly drawing taking place. In the UK, lottery prizes are tax-free, and you don’t have to pay anything for the amount you’ve claimed via the game. Can You Play Sue Ryder Lottery Online? One of the ways to acquire your Sue Ryder lottery ticket is through the game’s official website. The online platform requires registration. When creating your account, you’ll have to enter contact information, which Sue Ryder centers you’d like to support through the purchase of tickets and how many tickets you’d want to buy. Keep in mind that Sue Ryder maintains the right to reject applications at their discretion. You will be notified if for any reason you have not been registered to play the lottery. Would you mind rating Sue Ryder Lottery? If the feel-good factor is essential for you, the Sue Ryder lottery is the right opportunity to use for testing your luck. Sue Ryder is a small charity lottery in the UK. The money is used to do good things for people who are ill and who need specialized care. Buying a ticket is easy and affordable. On top of knowing you’ve done something great for the weakest members of society, you’ll also be rewarded if you win. So there you have it! Sue Ryder Lottery is fun and an excellent way to spend one pound per week. Give it a try to determine if it’s your game. If you don’t like the premise, you can discontinue your participation at any given time.